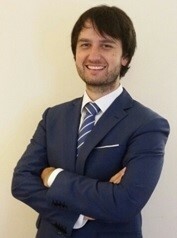 Stefano Furlan graduated in Mechanical Engineering (MSc) within the University of Trieste. Since January 2008 he joined Wärtsilä , covering different positions in the quality, classification, health and safety areas. He’s presently working as General Manager Hybrid Applications within Sales and Business Intelligence – Wärtsilä Marine Power Solutions, key focusing on hybrid offer and innovative machinery applications.